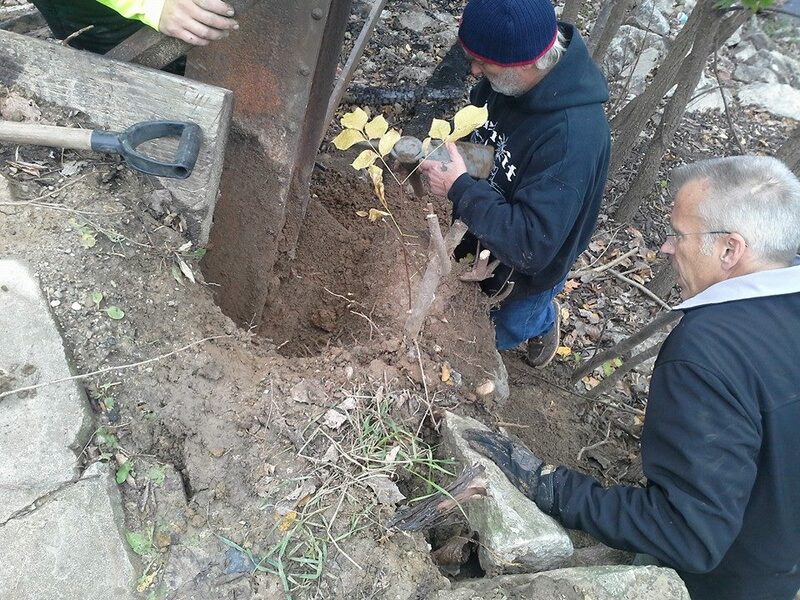 The Friends of Bunker Mill Bridge, whose mission it is to save and restore the historic 126 year old bridge just outside of Kalona, received good news from the engineering team that arrived at the bridge site this month. Initially the group thought that the bridge may have to be completely lifted and moved to the river bank possibly to be dismantled and rebuilt at estimated costs exceeding $450,000. The November onsite inspections and tests performed by Nels Raynor of BACH Steel and Jim Schiffer, PE of The Schiffer Group, Inc. have resulted in a more conservative and cost effective restoration plan. Raynor and Schiffer bring over 20 years of experience and expertise working on historic bridges. FBMB Managing Director, Suzanne Micheau now reports that the restoration costs are estimated at 270,000. Of that amount the group has made application to the Washington County River Boat Foundation (WCRF) for grant funds in the amount of 154,048 with FBMB providing matching funds of 112,000. WCRF announces it grant awards in December of this year. FBMB has launched a capital fundraising campaign with outreach to donors in both the public and private sectors.